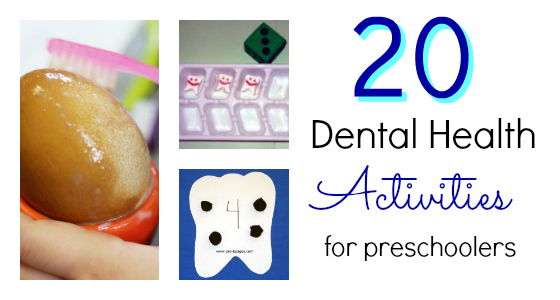 Do you do a dental health theme in your preschool or pre-k classroom? 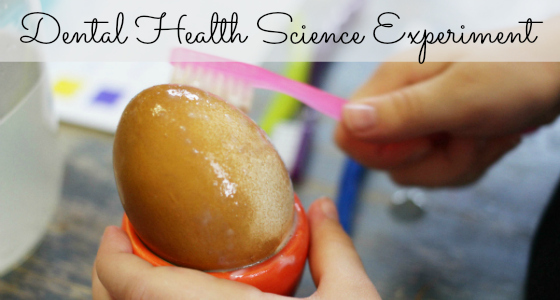 A dental health theme can help you teach children how to have healthy teeth. Don’t forget, February is Dental Health month! As your little learners participate in activities around a common theme, they will begin to develop important oral language, literacy, and vocabulary skills. 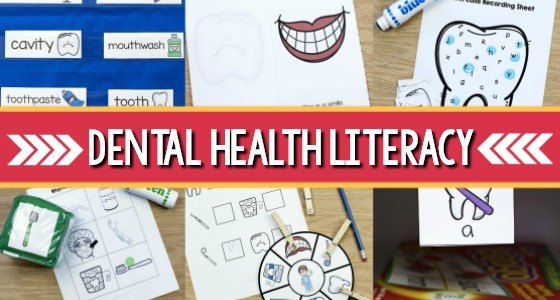 Your kids are going to love these fun, hands-on dental health literacy center activities and games that will help them build vocabulary and develop critical emergent literacy skills like rhyming, syllables, beginning sounds and more. 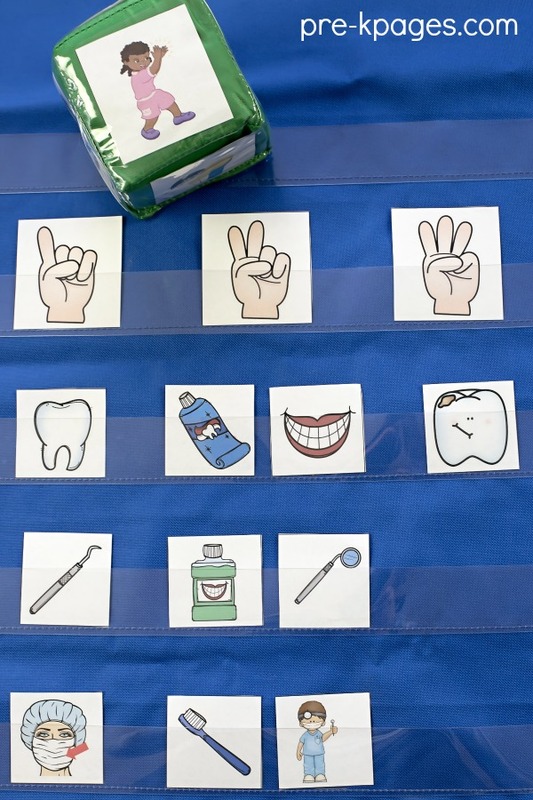 Are your students learning to identify syllables in spoken words? Syllables are an important part of developing phonological awareness skills. In this activity, students will identify and say the name of the picture, and clap number of syllables in each picture. 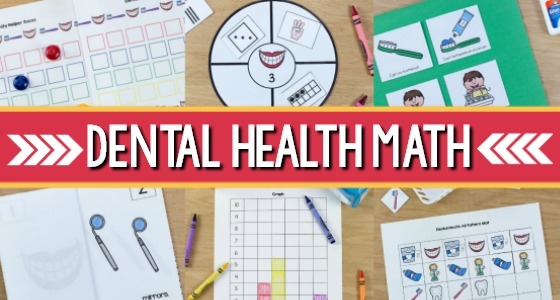 This activity includes a black and white recording sheet and is available in the Dental Health Preschool Literacy Packet. 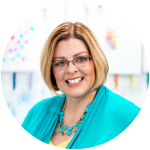 Are your students learning to identify beginning sounds? Beginning sounds are an important part of developing phonological awareness skills. 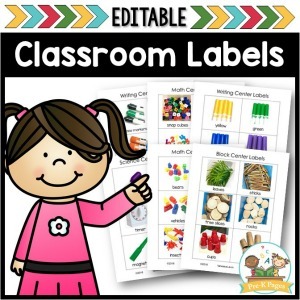 In this activity, students will identify the beginning sound of each picture and attach a clothespin with the correct letter to the corresponding picture. There is also a black and white recording sheet included with this activity. 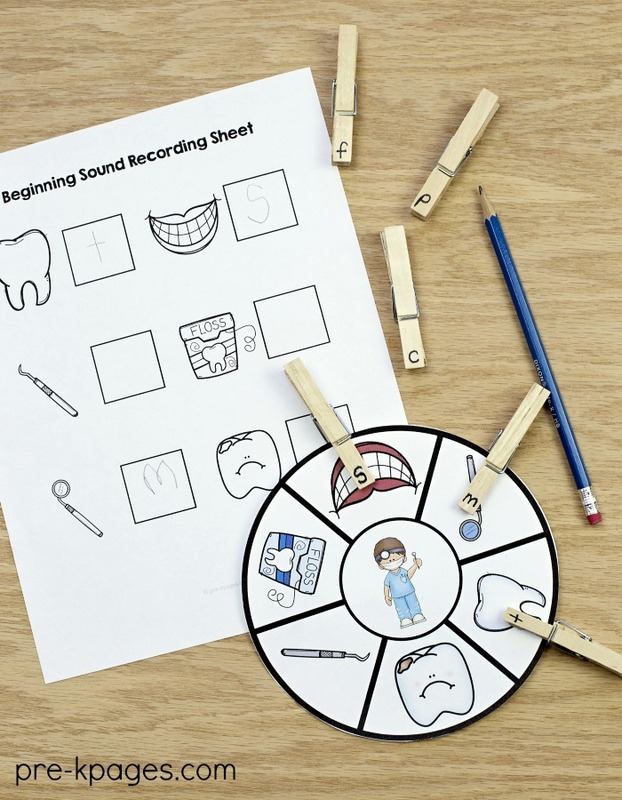 The beginning sounds activity is available in the Dental Health Preschool Literacy Packet. Are your students learning how to rhyme? Rhyming is an important part of developing phonological awareness. This is a fun game that can be played in large group and is available in both black and white and color. Students take turns rolling the cube and finding the rhyming picture. 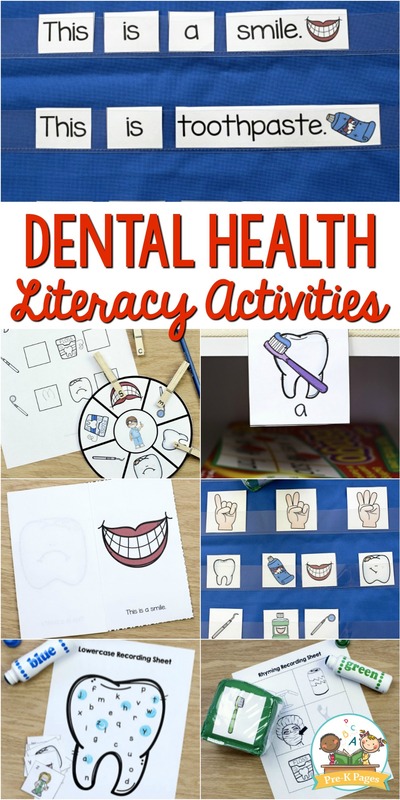 This activity is available in the Dental Health Preschool Literacy Packet. 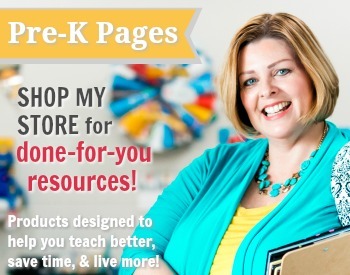 Are your students learning to identify and name the letters of the alphabet? Letter identification is an important part of developing phonological awareness skills. This game includes both upper and lower case versions in black and white or color. To play the game, students will take turns drawing a card, identifying the letter, and marking it on their recording sheet. 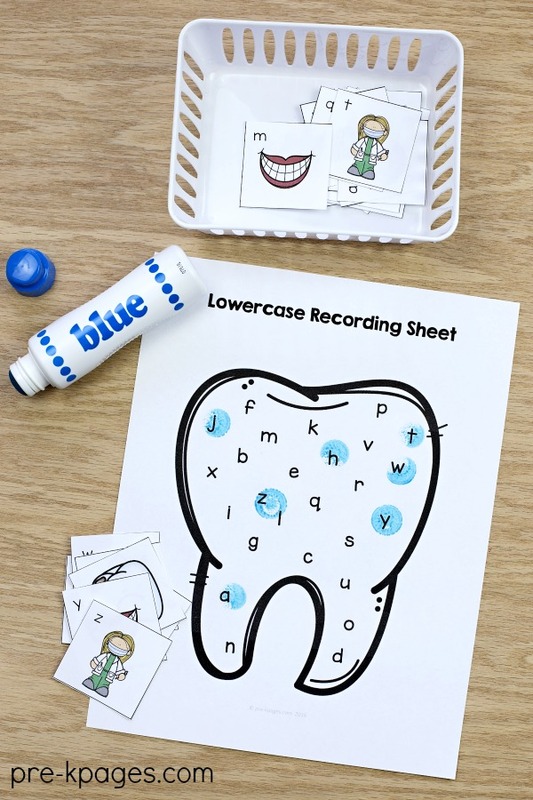 This activity also includes two recording sheets, one for uppercase letters and one for lowercase letters and is available in the Dental Health Preschool Literacy Packet. Are you looking for vocabulary word cards for your community helpers unit? The printable word chart and vocabulary cards are available in both black and white and color. Place the printable word cards in a pocket chart or on a word wall. 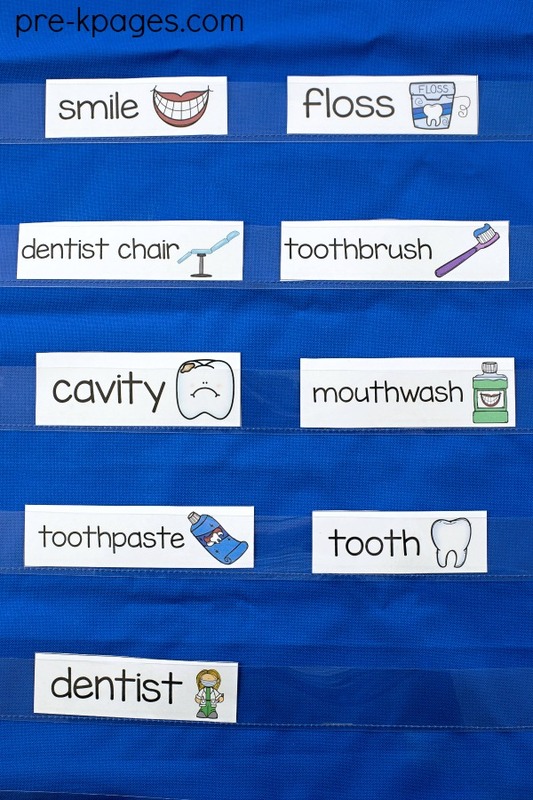 These cards can be used to help develop vocabulary and can be found in the Dental Health Preschool Literacy Packet. 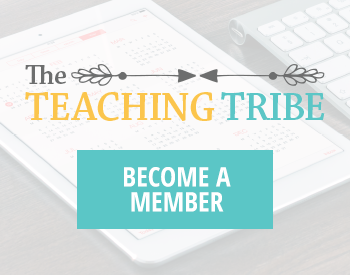 Are your students learning concepts of print? The predictable text in this pocket chart set will help your students learn concepts of print such as left to right directionality, return sweep, one-to-one correspondence, and more. 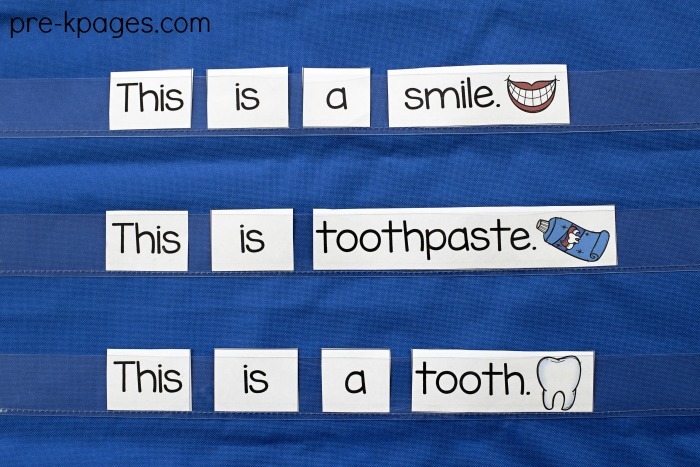 The printable pocket chart sentences are available in the Dental Health Preschool Literacy Packet. 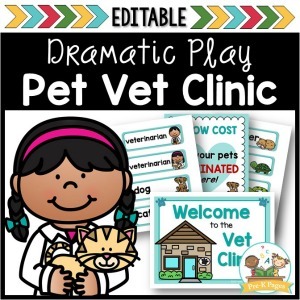 Are you looking for printable emergent readers for your dental health preschool theme? The predictable words in this book are designed to support your beginning readers. Use this book to reinforce concepts of print such as words are separated by spaces, left to right and top to bottom, written words match spoken words, common sight words, and more. 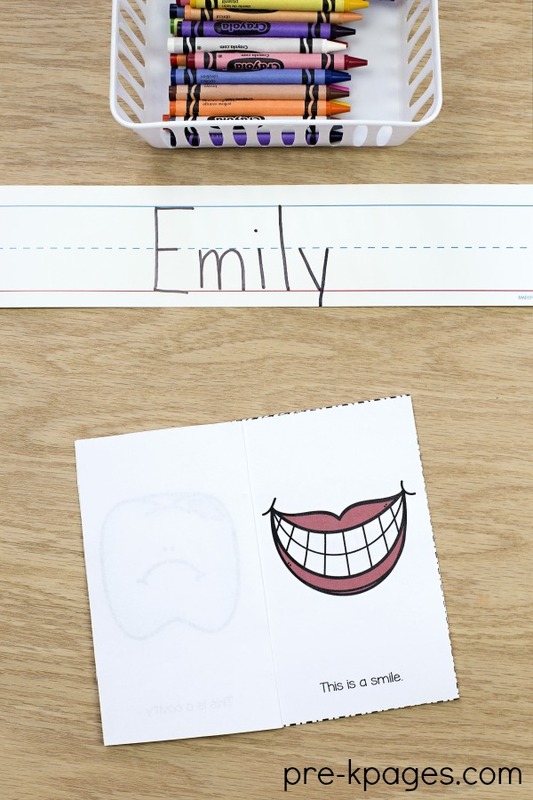 This easy to assemble printable reader is offered in both black and white and color in the Dental Health Preschool Literacy Packet. Oh, and you’re going to want some good, age-appropriate books to read aloud to your kids for your community helpers theme! 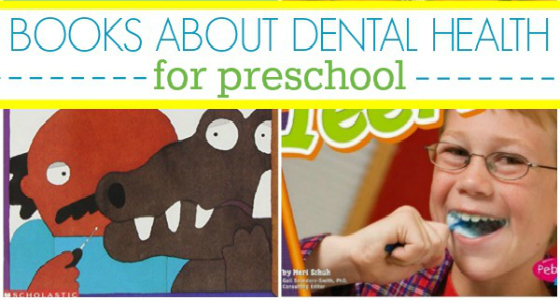 Don’t worry, I’ve got your back, you can find a huge list of dental health books for preschoolers HERE.